Do you have a requirement to compare SOLIDWORKS models and drawings? 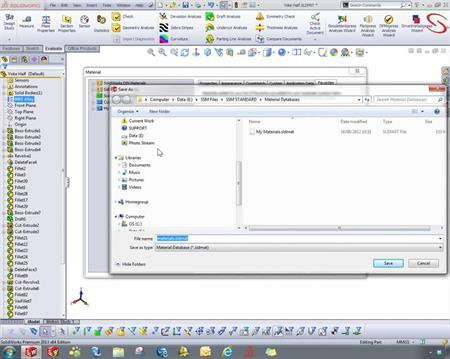 Did you know that SOLIDWORKS can check your drawings against pre-defined criteria? Join us for this Webcast to find out more. SOLIDWORKS Utilities is a set of tools that lets you examine in detail the geometry of a solid model, and make comparisons to other models. SOLIDWORKS Design Checker verifies design elements such as dimensioning standards, fonts, materials, and sketches to ensure that SOLIDWORKS documents meet pre-defined design criteria.